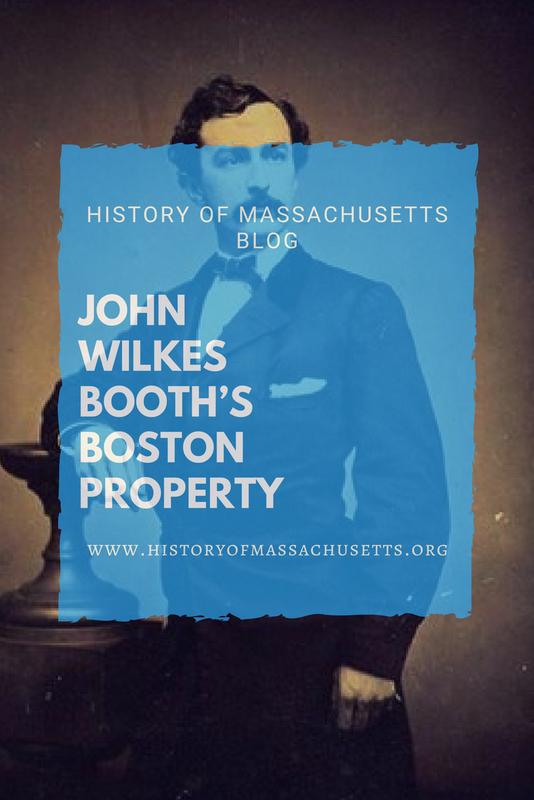 In 1863, after John Wilkes Booth made a small fortune as a popular stage actor, he bought property in the newly created Back Bay neighborhood in Boston, Massachusetts intending to build a house on the lot. 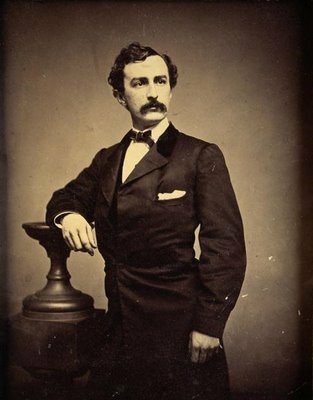 Although Booth was a national star, he was especially popular in Boston, a city he loved for its charm and culture, and had performed in numerous plays at the local playhouse, the Boston Museum. John Wilkes Booth photographed in a Boston studio. Date unknown. Booth purchased a lot, located at 115 Commonwealth Avenue, for $8,192 and placed it under his mother’s name, Mary Ann Booth. Around the same time he also bought $1,500 worth of Boston Water Co. shares. The house Booth planned to build never came to fruition, probably due to a bad oil investment he made in Pennsylvania in 1864 that seriously depleted his fortune. Since Booth never built his house in Boston, he stayed at the Parker House hotel the last time he visited the city, on April 5 and 6 of 1865, just ten days before he killed Abraham Lincoln, and was seen practicing shooting his pistol at a nearby shooting gallery on the corner of Chapman and School streets. It is not clear if Mary Ann Booth sold the Commonwealth avenue lot after Booth’s death, but in 1876 a large home was built on the lot for dry good merchant Walter Hastings Jr. The building was eventually subdivided into apartments after the 1970s. The building was recently up for sale, with an asking price of $11,500,000, according to the Classic Realty web site. In a strange coincidence, Booth’s nemesis, Abraham Lincoln also had connections to Massachusetts when it was later discovered that he descended from colonists who settled in Massachusetts in the 17th century. Even stranger, the man who later killed Booth, Boston Corbett, also had connections to Boston after he moved there in the 1850s, had a religious conversion there and changed his name from Thomas to Boston in honor of the city.